I love the lightweight feel of these and that I can change the Oakley symbol to different colors! These are super comfortable against the ears and nose. Plus the shipping was faster than I expected. These glasses were very light and feel very good they were a little bit bigger than I thought they were gonna be but overal I really like the frames and the blue filter on the lenses work really well. Actually came with different Color Oakley emblems for the side but did not come with the earpieces so it wouldn't look very good having them different colors wish they had sent different color ear rests as well. 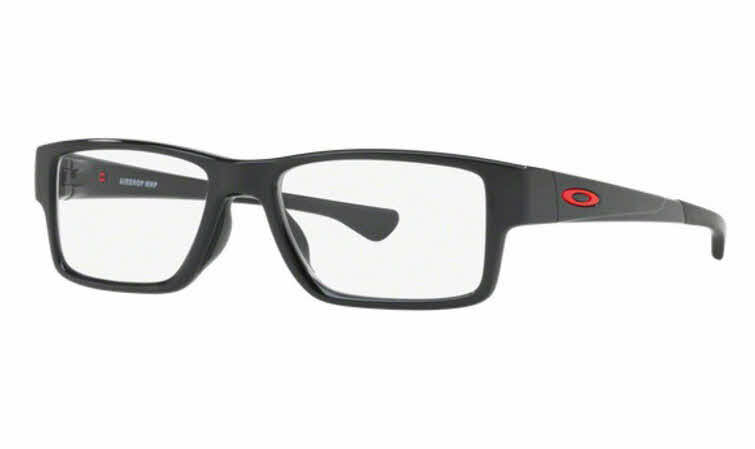 If you like the square look I'd recommend these and you can't ever go wrong getting Oakley glasses. The frames themselves are an excellent fit. I got the progressive lens and they are on point. These glasses are light weight and feels like a custom fit. Absolutely love it! I have a smaller frame, 5’8” and tried the Oakley Currency frames but they were really wide for my head, these were the same shape just not as wide and I like them. Faster shipping would be nice though.